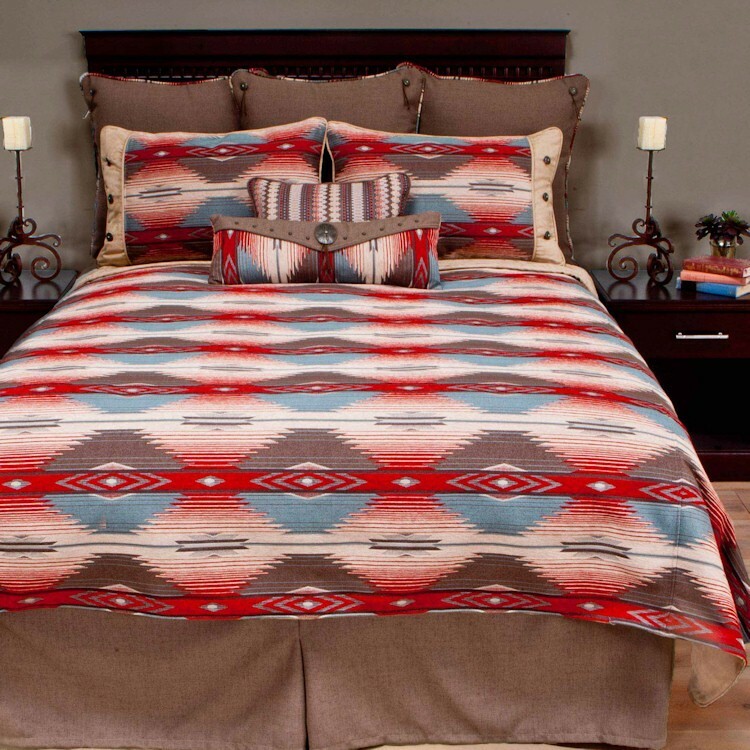 The Durango Bedding features a coverlet in a multi colored southwestern style in desert shades of cocoa brown, denim blue and sunset red that reverses to a neutral sand. 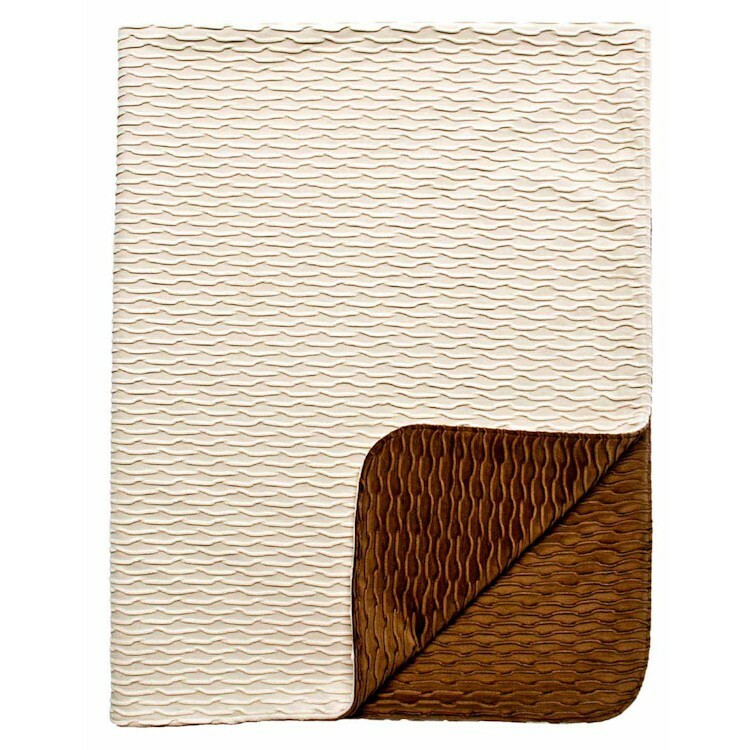 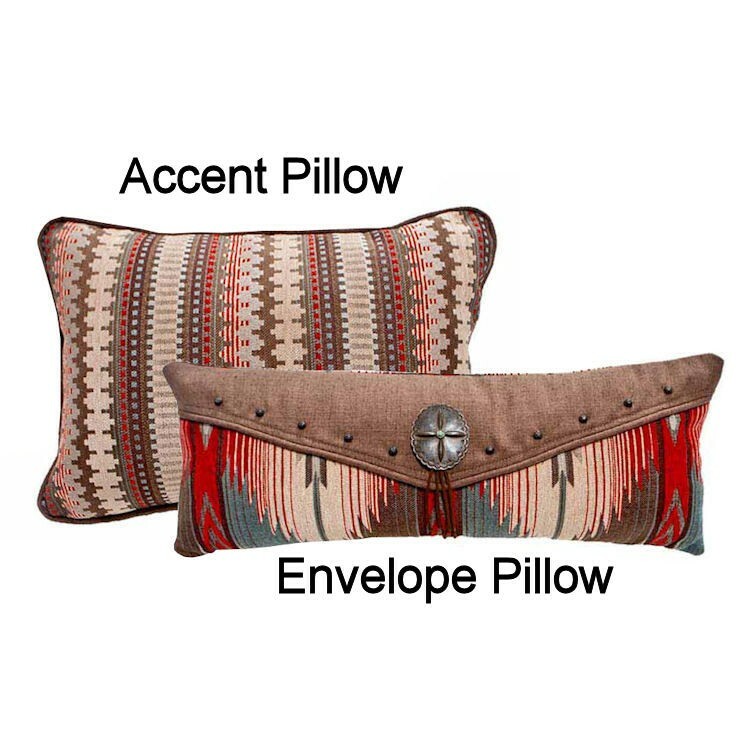 The pillow shams continue the western appeal with the same fabric as the coverlet. 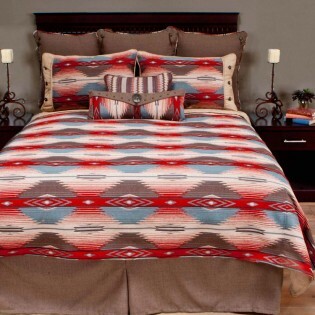 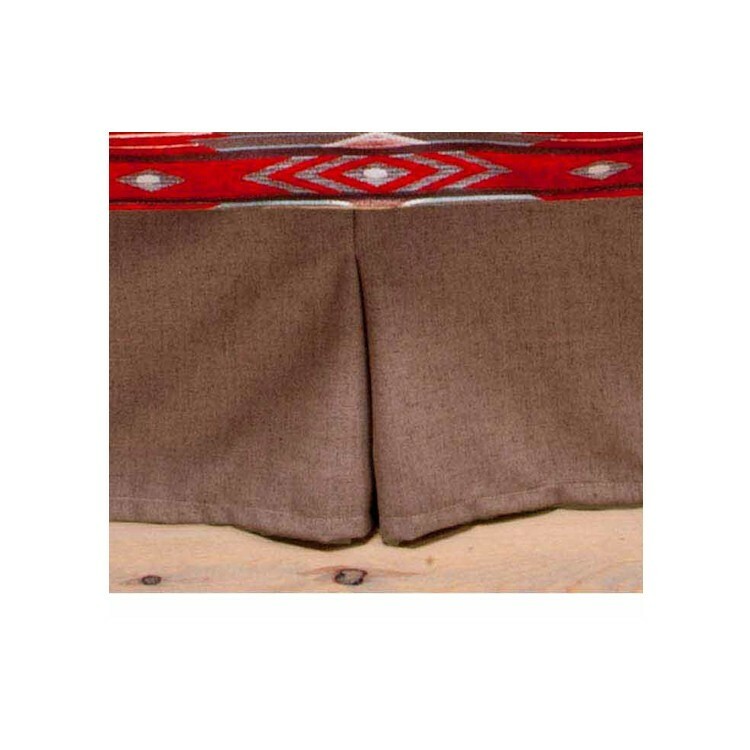 Deluxe sets also include euro shams to complete your western bedding ensemble.